This page is currently in progress. Stay tuned! After being a staple on the west side of Manhattan for over 20 years and counting, Chelsea Piers Sports Complex has expanded into a new borough. 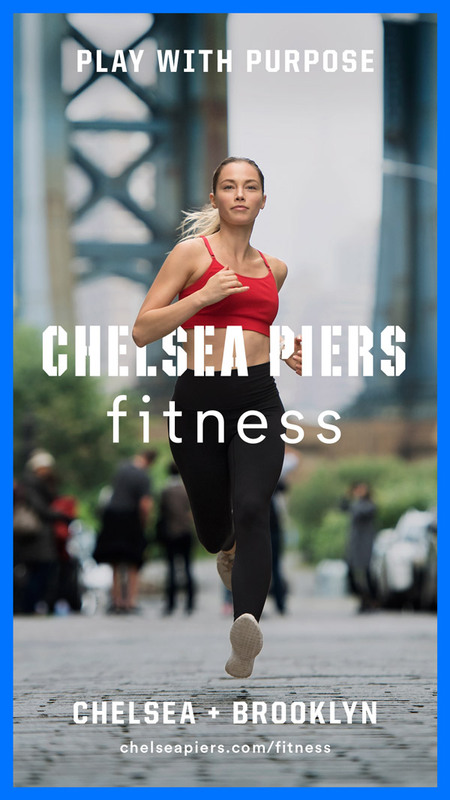 Now located in the heart of Downtown Brooklyn is Chelsea Piers Fitness. In a setting reminiscent of a boutique fitness club, CPF still offers many of their classic sports and training features as well as signature classes and amenities. Working in tandem with Chelsea Piers’ in-house design team, we worked to build a fresh brand identity that can live independently and yet still feel a part of the original Chelsea Piers universe. Creating everything from naming and advertising to a stand alone website and outdoor photoshoot, we aimed to show that fitness can be achieved both in the gym and out in your community.